Adriana Spina -Let Out The Dark. The new album by Adriana Spina, Let Out the Dark, was launched just last week. Released on her own Ragged Road label it’s a strong set full of folk tinged Americana served up with style and verve. Things kick off with one of the strongest songs on the album, Home. The thoughtful lyrics are sung beautifully with voice and instruments blending perfectly to deliver a very satisfying start to proceedings. The second track, Hear it From You, is the first of several tracks which see the band rock things up, providing a contrast to the more introspective moments. Various themes are tackled here, both familiar and unexpected. See Another Day is an emotionally raw social commentary on the current refugee crisis whilst Don’t Recognise Me is a delightful cry of love for childhood. There’s even a wonderfully plaintive Christmas song, Sparkle. An alternative take on the festive season, it’s a song that can easily be listened to all year round. 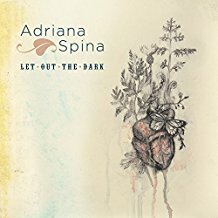 Let Out the Dark is a grown up lyrically honest collection of songs with Adriana Spina’s voice never less than captivating throughout. It’s been six years between the release of her debut album and this one. There’s plenty here to have you hoping that number three is not so far away. Visit Adriana Spina’s website here. You can check out the video for See Another Day below. 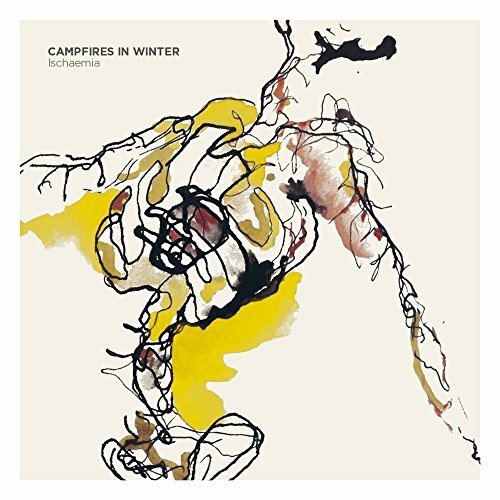 Feel the warmth from Campfires in Winter’s debut album. Opening track Kopfkino sets the tone for what is to come, some muscular guitar work driving things along nicely. It’s followed by Free Me from the Howl, a contender for the best song on here. The tale of woe is delivered by lead vocalist Robert Canavan in an accent so Scottish it makes The Proclaimers sound like they’re from the Home Counties. The album’s pace is just about right with enough twists and turns along the way to make the entire listening experience a rewarding one. With a Ragged Diamond, one of the best singalong numbers here, picks things up at just the right time before the atmospheric Silent and Still and Each Thing in Its Last Place brings things to a neat conclusion. Ischaemia is an intelligent, well-crafted album and definitely worth checking out. At the very least it should have you scouring the listings pages so that you can hear these songs played live. Follow the band and share some Facebook love here. And below, the rather wonderful video for Free me From the Howl. First Tiger, Dedicated Non-Followers of Fashion. 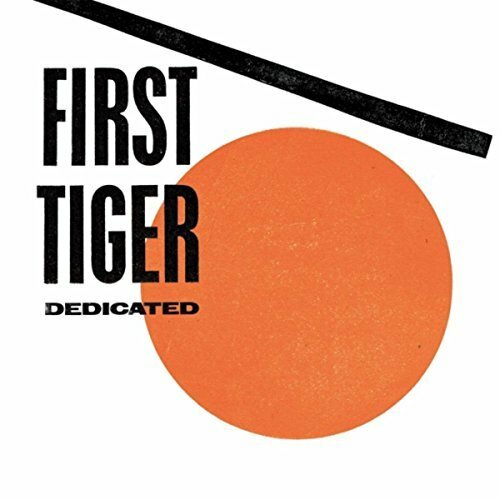 First Tiger’s debut album, Dedicated, was released in the autumn of 2016. It’s as original a collection of songs as you will hear in any year. You are never really too sure where the band are taking you at times as they continually defy expectations throughout the course of the album. It really is hard to pin down one over-riding influence at work here as they have produced a melting pot of the familiar to serve up something that is quite unique. The band themselves cite, among others, Fats Waller, Prince, Jacques Brel and rather wonderfully gonzo chef Anthony Bourdain as influences. The spirit of Brel is certainly present here, most noticeably on standout track, For Pete’s Sake. The lyrics throughout the ten tracks are a constant delight as various dramas unfold, always clever, sometimes acidic and often laugh out loud funny. With a total running time of just over thirty minutes it’s pleasing to find just so much packed in here. Thankfully the temptation to overcook things has been avoided and the tracks flow along with a lightness of touch that should keep the listener hooked from beginning to end. On the title track, Dedicated, the singer tells us that ‘’nothing will have any meaning if everything’s a fad.” First Tiger certainly aren’t following any discernible trend here, choosing a path that isn’t just fresh and interesting but is also damn good fun to follow them down. On this showing they deserve a lot more of us making the journey with them. First Tiger are on Facebook here and Twitter here. Follow this link for the band’s website. 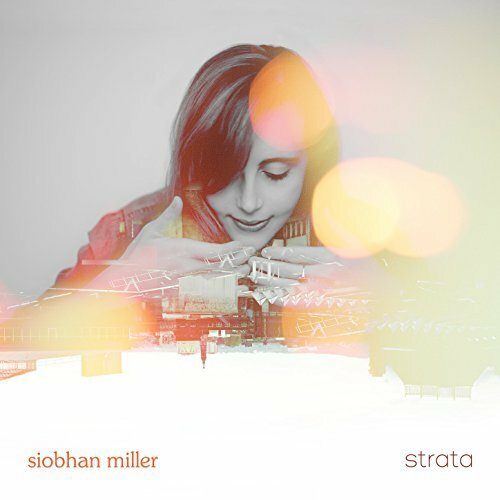 Released on the 24th of February, Siobhan Miller’s second album, Strata, is a collection of songs which have played a major part in nurturing the singers own musical makeup. It works superbly well. Miller’s unfussy delivery and subtle phrasing adds a freshness to each song, the evolution rather than revolution approach adopted here proving to be a wise one. With well known musicians such as Kris Dreever and Phil Cunningham present the instrumental backdrop is as you would expect, superb. Miller is never outshone though, the beauty of her voice taking the listener on a very pleasant musical journey over all eleven tracks. Highlights include opener Banks of Newfoundland which sets things up nicely. The Bob Dylan Cover, One too Many Mornings, is simply gorgeous whilst her version of Ed Pickford’s Pound a Week Rise resonates nicely with today’s politically troubled times. Final track The Ramblin’ Rover will have your foot stomping before playing the whole album over again. You can find out more info about Siobhan Miller including tour dates here.